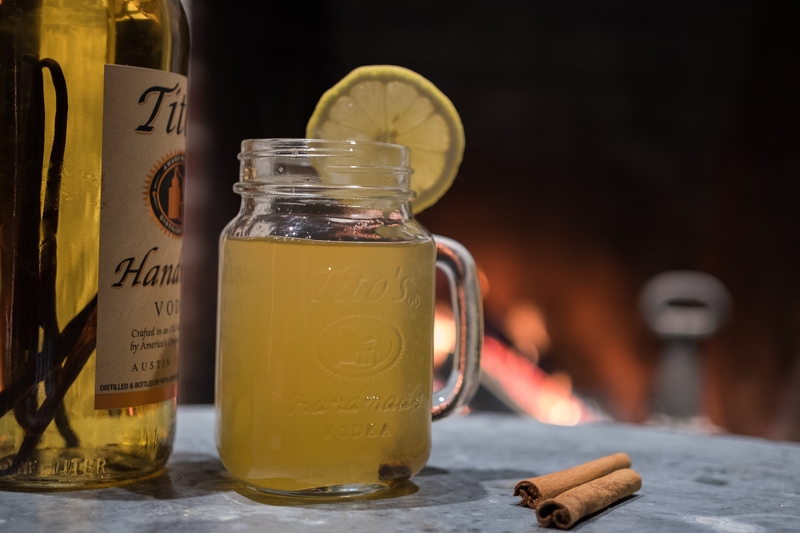 The Tito's Winter Warmer is our answer to a classic hot toddy. It keeps you toasty and cures whatever winter affliction might ail 'ya. Add all ingredients to a Tito's Mason Jar Mug, add the hot water last. Stir and garnish with three cloves and an orange twist. Drop whole vanilla beans into a bottle of Tito’s Handmade Vodka. Pro-Tip: Pour yourself a cocktail (or two) to make a little room. Heat until mixture simmers, stir, and turn off heat. Pour mixture into a glass bottle for storage and refrigerate.